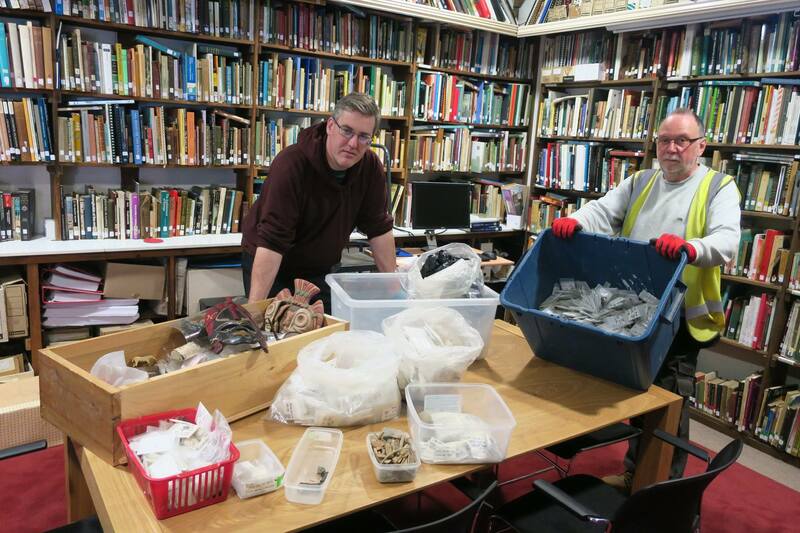 Great news to report on this day of lucky shamrocks: most of the estimated 2,000 artifacts stolen during a destructive break-in at the Canterbury Archaeological Trust’s Kingsmead stores have been recovered. Kent Police received a tip that the loot had been dumped in a derelict house on Military Road. 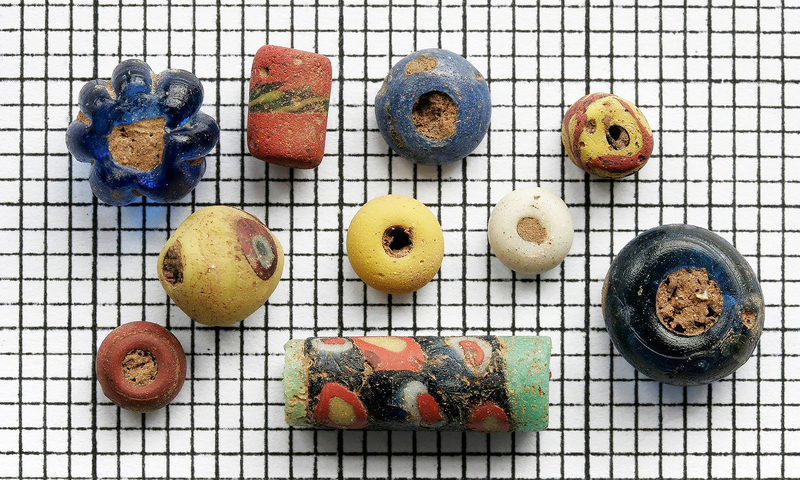 Officers from the Canterbury Community Policing Team and Canterbury Archaeological Trust staff went to the property and discovered boxes full of the stolen artifacts, including coins, axes, coins, metalwork, jewelry, carved bone artifacts and the full complement of more than 850 Anglo-Saxon glass beads. Almost all of the archaeological material stolen in the raid is now back where it belongs. In other good news, because like so many thieves who steal cultural heritage these guys were a bunch of ignorant clowns who had no idea what to do with the material once it was in their grimy clutches, they didn’t even remove the objects from their labelled bags. That will make it a comparatively easy task for the museum staff to inventory and re-archive them. Not found in the stash were the stolen educational materials, replica Bronze Axe axe-heads, replica Beaker pots and coins, that are actually expensive to produce although not worth much in terms of market value. See above re ignorant clowns. Trust director Paul Bennett said: “We are hugely relieved to have got back such vital material which is of huge importance to the history of the city. The raid on the store left property scattered about and a huge job for staff and volunteers to catalogue what was missing. “The thieves probably didn’t know what to do with it because many of the items don’t have great monetary value. Some of the missing items may probably end up being sold at fairs. The police investigation continues in the hope of recovering all of the stolen objects and, of course, the culprits. They have yet to be identified and the authorities are keeping mum on whether they have any leads to specific individuals. The Canterbury Archaeological Trust is moving from Kingsmead, now afflicted with exposed asbestos and stripped copper wires thanks to the savage break-in, to a new facility in Wincheap later this year. The trust hopes to create a resource center there that will make their collection both more secure and more widely available to researchers and the public.